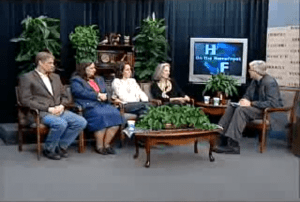 "On the Homefront": QVCC Willimantic, Part 1: In this episode of John Murphy's CTV14 Show, "On the Homefront", Jon Andersen, Assistant Professor of English at QVCC and a Teacher Consultant from CWP's Summer Institute in 2009, discusses the educational goals of Quinebaug Valley Community College. 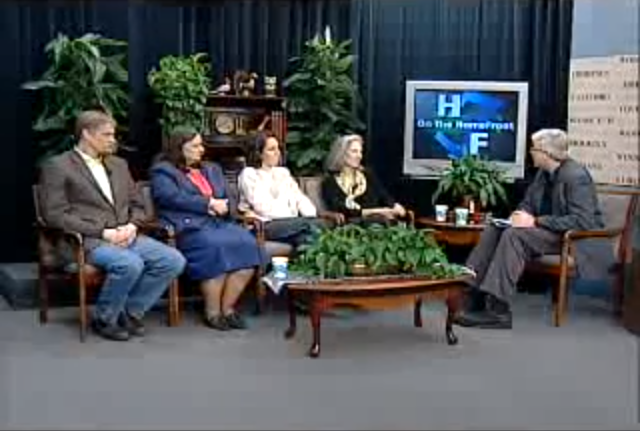 "On the Homefront": QVCC Willimantic, Part 1.2: In this episode of John Murphy's CTV14 Show, "On the Homefront", Jon Andersen, Assistant Professor of English at QVCC and a Teacher Consultant from CWP's Summer Institute in 2009, discusses the educational goals of Quinebaug Valley Community College. "Jeff Wilhelm on the National Writing Project": Jeff Wilhelm discusses the importance of the National Writing Project with Greg Michaels of k12.educationmatters.org. He answers the question, "Why are you so passionate aboutthe NWP and why do you think teachers should consider getting involved?" "English Class": Amanda Lister, (SI 08), English teacher at Manchester High demonstrates her writing process for students. 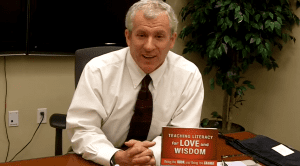 "Piloting readers' and writers' workshop this year, which means a lot of my modeling what to do. So I wrote an essay that I asked my students to write, shared it, walked them through giving feedback, etc. But since none of that is super fun, I also made this video of me writing said essay for them to laugh at."